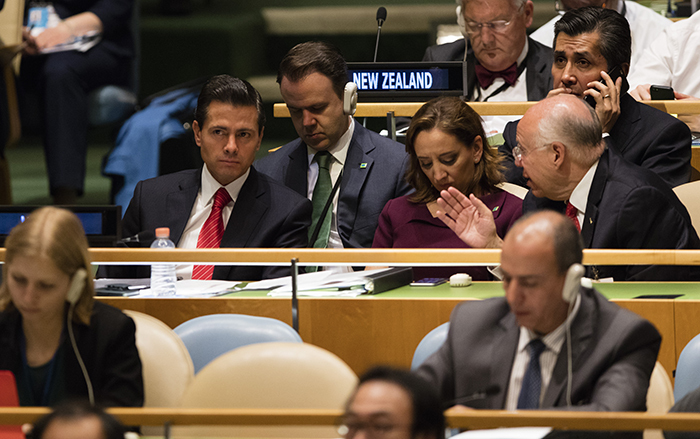 United Nations, New York, USA, April 19 2016 – Enrique Pena Nieto, President of Mexico along with Claudia Ruiz Massieu, Mexico’s minister of foreign affairs and his delegation during the Thirtieth special session of the General Assembly on the World Drug Problem today at the UN Headquarters in New York. The document, which was adopted without a vote, contains recommendations which address supply and demand reduction, human rights, the effects on children, women and communities, strengthening international cooperation and alternative development. 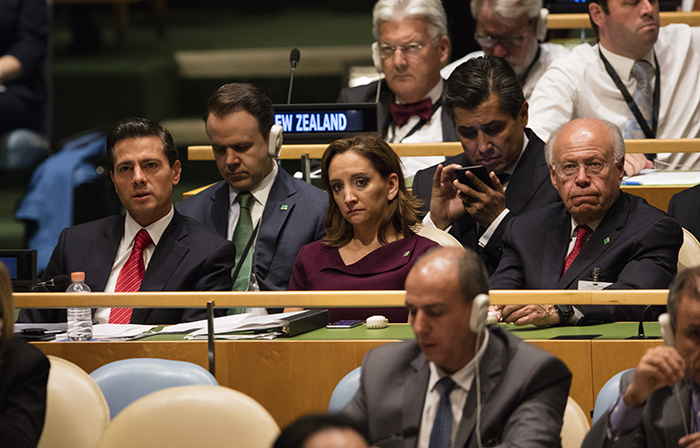 Enrique Pena Nieto, President of Mexico along with Claudia Ruiz Massieu, Mexico’s minister of foreign affairs and his delegation during the Thirtieth special session of the General Assembly on the World Drug Problem today at the UN Headquarters in New York. 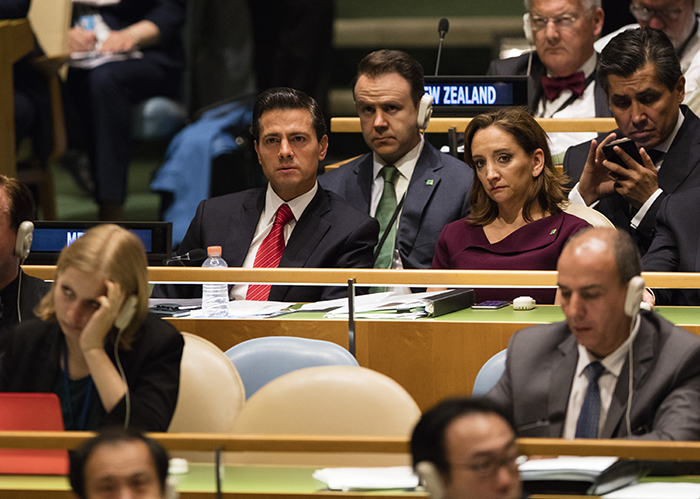 Mexican President Enrique Pena Nieto said the war on drugs which began in the 1970s, “has not reduced production, trafficking, and consumption of drugs in the world.” He said “in a globalized world, drugs are a global issue” which cannot be addressed by any one nation alone. He said “consumer countries” should increase their commitment to reduce demand and fight against transnational organized crime which is present within the borders of those countries.